Charming home in desirable Roads Neighborhood. Close to schools, supermarkets, minutes to downtown, K.Biscayne/Crandon beaches, C. Gables and C. Grove. 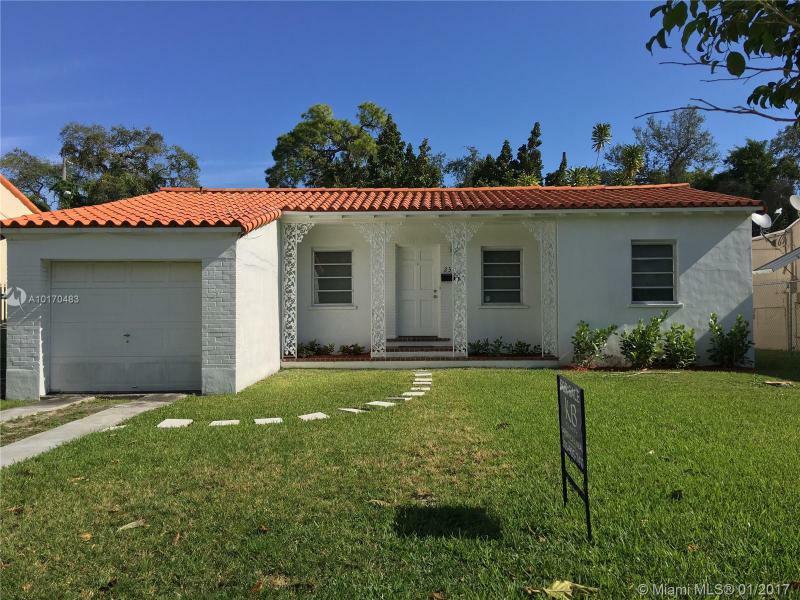 New central A/C unit, wood/beam ceilings in living/family room, original Florida pine wood floors, ceramic tile, original fireplace, kitchen and bath, one car garage with plenty of storage space on sides and above, new barrel tile roof, almost 8,000 sq. ft. of fenced-in yard. Not upgraded. Plenty of space for pool. Sold As Is, great potential! 4/3 two-story home located in the beautiful & sought after gated community of Britannia Estates. Ground patrol provided besides security guard at entrance. Automatic stair chair lift included in sale. Tiled downstairs & carpeted upstairs. Detached air conditioned storage room. Ample driveway plus guest parking right across the street. Very low HOA monthly fee which includes outside landscape maintenance, community pool, playground & tennis courts. Metal doors & accordion hurricane shutters. Fenced yard. Waterfront in Three Lakes/Silver Lakes Community. Enjoy jet skiing, boating, fishing, and more. Community includes: Gated security, pool, sauna, gym, volley & racket ball course, clubhouse boat ramps, and much more. 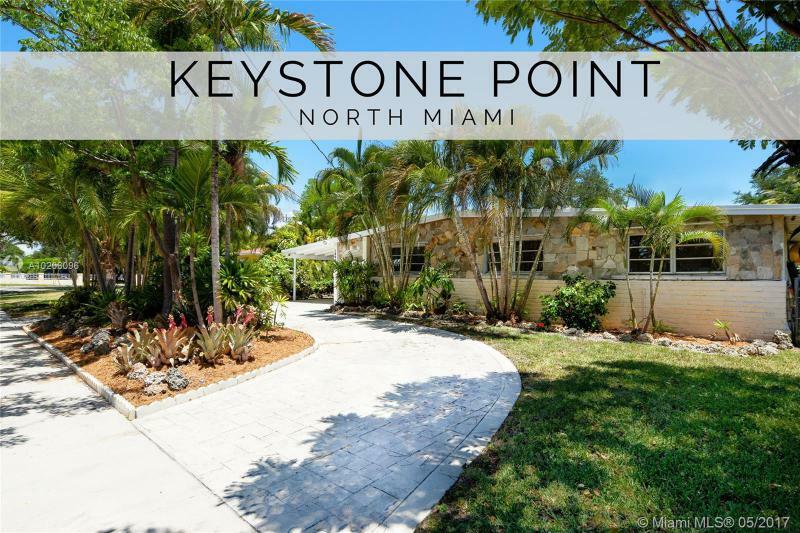 Rarely available 3 Bd 3 Bath dry lot home in prestigious Keystone Point, North Miami. Surrounded by million dollar waterfront properties, this unique home is perfect for families looking to enjoy the safety & security of the guard gated island. The bright & airy layout offers a Key West style feel with wood beamed ceiling throughout the open kitchen, & living room that flows freely into & additional media room/ family room.